In 2015 Brandeis University was ranked #1 in the country for student involvement in community service by the Princeton Review. This is an ambition we try to emulate through the service our chapter provides our communities. 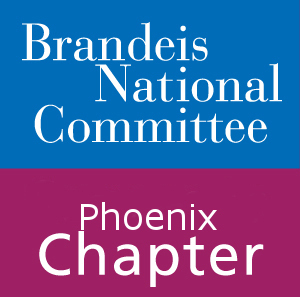 BNC Phoenix is involved in several projects throughout the year in order to better the lives of individuals and our communities as a whole. If you would like to get involved with any projects, please contact the VPs for Community Outreach; Wendy Cohen at wencohen@cox.net, Ellen Kirschenbaum at ellenk102@gmail.com, or Sharon Tievsky at stievsky@yahoo.com. Knit a Mitzvah is one of our study groups. Our members get together and knit or crochet clothing to be donated to the Jewish Family and Children’s Services. We also make hats for babies that are donated through the HonorHealth/Scottsdale Shea Medical Center. You do not need to be a member of the official study group in order to participate. For more information please contact Ronee Siegel at ronees@aol.com or 917-273-0393. The JFCS provides local children, teens, and adults with behavioral health social services and primary medical care. These services include counseling, support for survivors of domestic violence, help with substance abuse, and aid to teens in the foster care system. JFCS also runs a “Just 3 Things” food pantry that BNC Phoenix contributes to regularly. They are always in need of canned food, cereal, toiletries, disposable razors, deodorant, and feminine hygiene products. Learn more about JFCS here. This book collection, as the name suggests, is for children’s books that will then be distributed to local elementary schools. We accept new and gently used books. Every now and then the chapter will host a special community outreach event. Keep an eye on the chapter publications so you don’t miss the opportunity to make a difference in someone’s life. The next upcoming event is August 14th as part of the Summer Camp program. At the event members will be putting together bags of products that will be distributed to the homeless. Ellen Kirschenbaum (ellenk102@cox.net) is the facilitator.